We invite you to join Tiny Atlas as we embark this spring on a rejuvenating trip to Playa Viva (and our first trip to Mexico! ), a retreat destination dedicated to living systems, vibrant communities and to creating a legacy that makes all guests feel proud about their footprint on the environment. Our 5 days will be spent soaking up the beauty of both the incredible location as well as the surrounding areas. Your time will be spent in the ocean, on the beach, reading or relaxing, witnessing sea turtle releases, learning how to make chocolate and tamales, touring the on-site organic farm, horseback riding at sunset and all things water- surfing, swimming, paddleboarding, boating. Toward the end of the trip, you will have an opportunity to experience a local indigenous purification tradition, the “Temazcal” sweat lodge ceremony. With plenty of free time to explore the area or simply be still, you will have the space and freedom to relax and reset or to maximize your time at this location for beautiful photography. From the moment you set foot on the property, Playa Viva will encourage you to get out of your routine with everything taken care of for you – three delicious farm to table fresh Mexican meals daily; eco-luxury accommodations; and activities perfectly timed for photography. Any level of photographer is welcome as are non-photographers who just want to experience this special off-the-grid beach haven. Based on weather and light the timing and timing and activities may shift. From LAX usually arrive around 3:30PM, Playa Viva is 40 minutes from airport by car. • Rates above include all meals, all non-alcoholic beverage, morning yoga class, wi-fi in common areas. Playa Viva is unique beachfront regenerative eco-luxury retreat boutique property where travelers come to experience the rugged, unspoiled beauty of Mexico while being fully immersed in a small environmentally and socially conscious resort. Guests have the opportunity to immerse themselves in the gorgeous surrounding nature, volunteer in the turtle sanctuary, give back to the local community, engage in workshops, or just relax completely. 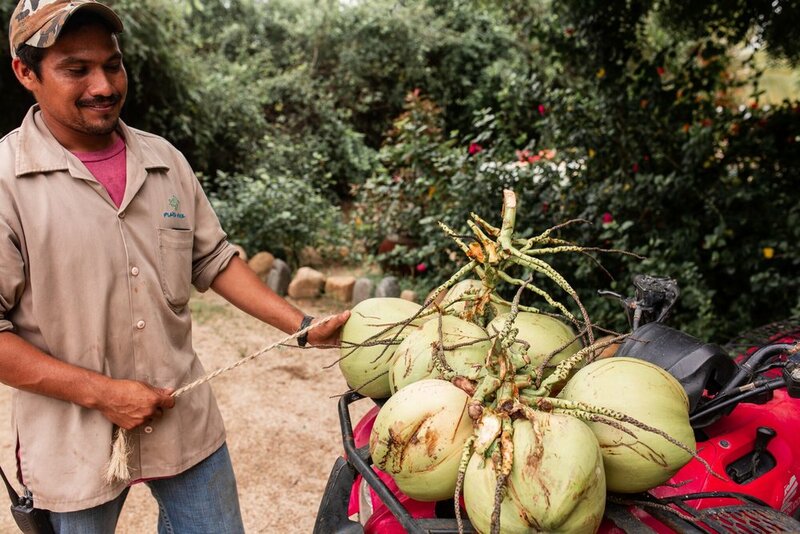 As a regenerative resort, every aspect of Playa Viva’s operations attempt to go beyond simple, low-impact interventions. 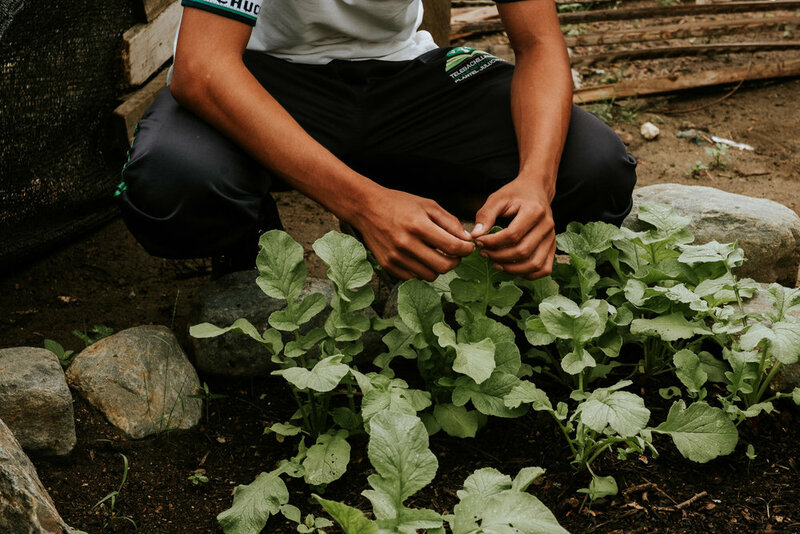 Built on the principle of sustainability, Playa Viva employs permaculture techniques of agriculture, smart water conservation measures, 100% solar energy system, and natural and local building materials and craftsmanship. 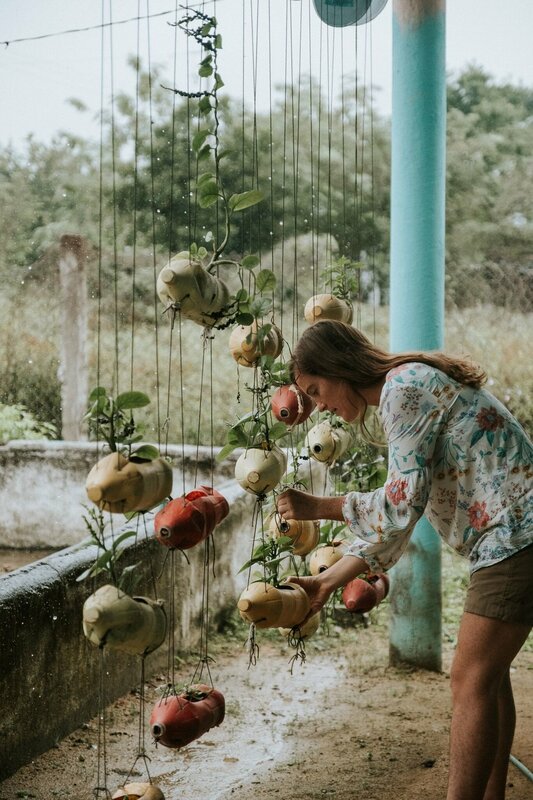 Regenerative Resorts is a collection of independent boutique eco-hotels where people and place co-exist and thrive, making it easier for guests to discover where their vacations and retreats can meet their values. Each selected property has been designed with the ecosystem in mind. All Regenerative Resorts are committed to environmental and ethical practices that go above and beyond certifications. The resorts offers experiences that are meant to be both meaningful and transformational. Tiny Atlas Quarterly is a lifestyle travel magazine founded in 2012 by photographer Emily Nathan. Today we produce editorial content, trips, photo shows, and are launching our first book My Tiny Atlas: Our World Through Your Eyes on March 26th where books are sold. We have an Instagram community of 145k, and a hashtag #mytinyatlas with over 7 million posts to date. @meg_haywoodsullivan is a photographer & environmentalist who splits her time between shooting campaigns and pushing for environmental stories through editorial features and social platforms. With her degree in Environmental Studies and nearly a decade's worth of experience as an outdoor photographer, Meg is constantly working on projects that inspire the public to care about the planet, while activating a whole new generation of environmentalists, stewards, and voters. Gabe Flores is a photographer based in Brooklyn with roots in the Southwest. Gabe's film and digital work resonate with an interplay of pathos and optimism, often tipping the scale towards a found beauty in the natural world and textured mix of honest portraiture of people from all walks of life. Sophia Roe is a New York City based chef, writer, and incredible storyteller with a focus on emotional honesty and connection with her ever growing community who are always checking in with her as a guiding light for food and life inspiration. She has built a strong and loyal fanbase for her actionable advice regarding self-empowerment, authenticity, and choosing happiness in the shadows of one’s past. She is currently writing her first novel, due out in 2020. Emily Nathan is the founder of Tiny Atlas Quarterly magazine and the @tinyatlasquarterly Instagram community as well as the #mytinyatlas hashtag, which has low logged over 7 million posts. Emily has a background in professional lifestyle and advertising photography and is based in Oakland, CA where she lives with her husband and son.